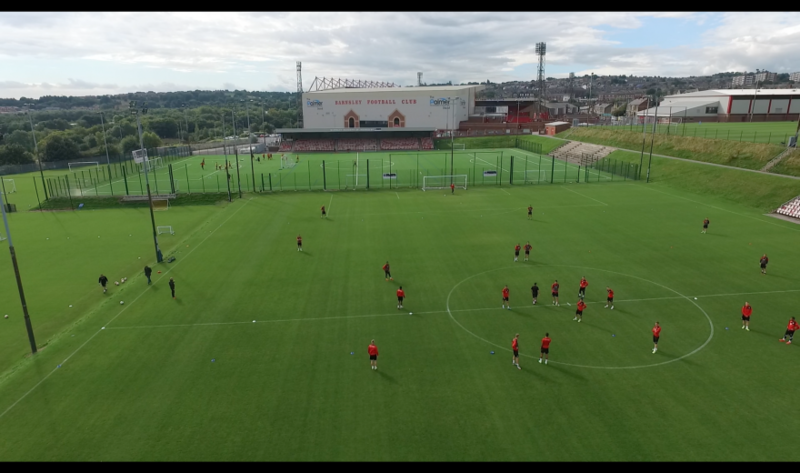 Deadline Digital has been providing Barnsley FC with aerial footage of their tactical training sessions to allow extra insight and perspective to their tactics. 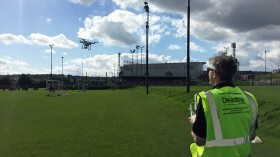 “Deadline Digital have filmed a number of our tactical coaching sessions using drone technology. 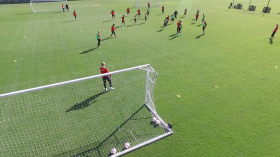 It has been a very useful addition to training because it offers such a different perspective. 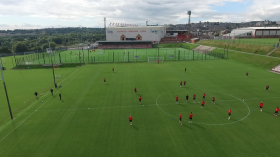 The steadiness and detail of the footage, coupled with the sound from the microphone I wear during the session, means we now have access to some really useful analysis footage which we wouldn’t otherwise be able to achieve. “I’ve seen – and heard – things during playback that have helped me to become a better coach and that have benefited the team. These are things that you simply can’t see at pitch level, or even from the stands.